My name is Jodie and I live in Upper Michigan. Creating doll fashions is my passion. Please take a moment to visit my Happy dolls page. Wonderful photos shared by my customers. 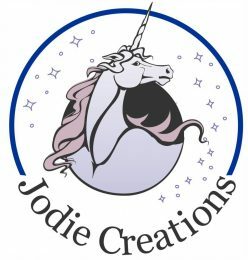 All of my Jodie Creations are quality made, all seams are surged, when needed and I pay great attention to detail. You can see my past creations by clicking on the gallery for each doll I currently am doing. When you see an item you would like to purchase, just simply click on add to cart. Your cart will show at the top of the page with the items you have waiting to purchase. When you are done just simply click on the paypal logo, or checkout and you are on your way. As soon as I get a paypal order confirmation I will email you when your order will ship. Most orders will ship within 24 hours. A usps tracking number link will be emailed to you the day your item is shipped so you can track your item and be sure to know when it will arrive. 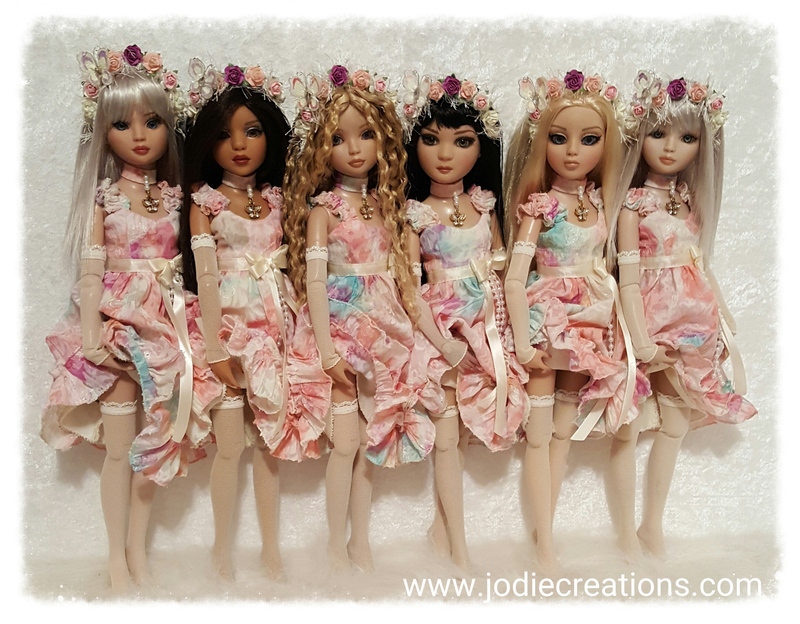 Send me photos of your girls wearing their Jodie Creations and I will be happy to add them to my happy dolls page. Don’t see what you want. Feel free to contact me. I currently do Creations for the following dolls. Tonner: Ellowyne Wilde, Evangeline Ghastly, Cami, Tyler, Deja Vu, Patience, Agatha Primrose and the 22″ American Model. 16″ and 12″ Poppy Parker. Smart Doll by Danny Choo. Returns are only accepted for items received damaged. If you have received a damaged item, please contact me immediately. The item will be replaced with the same item once we receive the damaged item back with all paperwork, packaging materials, wrapping, original boxes etc. Buyer is responsible for all return shipping costs and must provide us with a tracking number. All items are shipped via: United States Postal Service (USPS) and will be shipped to address provided through Paypal only. We will not ship to another address. A tracking number will be emailed to you once your item has shipped. Shipping is free on all orders except for International customers. International customers will be invoiced through paypal for the additional shipping charges. If the additional shipping charges are not paid within 3 days a refund will be issued through Paypal. A tracking number will be provided for all international orders through USPS however we cannot guarantee tracking on any international orders.